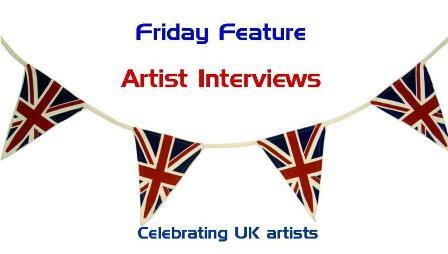 Welcome to the 8th interview celebrating the talents of British artists in the field of scrapbooking, photography, mixed-media, art journaling, feltmaking and quilting. Some names you may know and some may not be so familiar but they are all hugely talented. Hels has been crafting in one form or another since she was a little girl when she used to cover herself, her Grandma and every available surface with glitter and cotton wool. 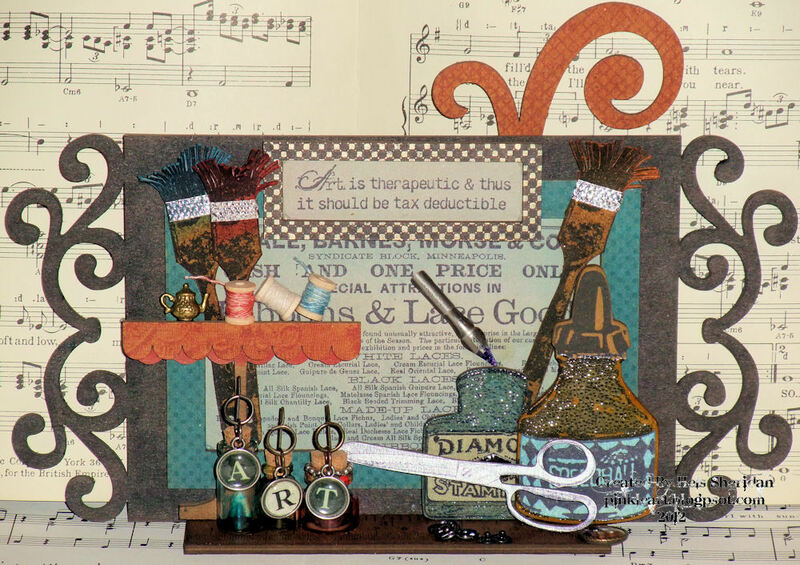 She really got bitten by the papercrafting bug back in 2003 when she took up cardmaking and scrapbooking. 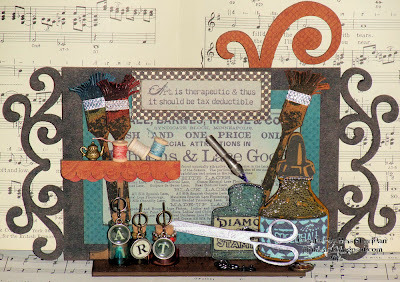 One of the most influential people in my crafty life is Wendy Vecchi. I love her products, stamps and her unique attention to the tiny details that are a major part of Wendy’s Art. I get a lot of inspiration from nature too; sunset and sunrise are those special times of day that flood my mind with colours that get my creativity flowing. 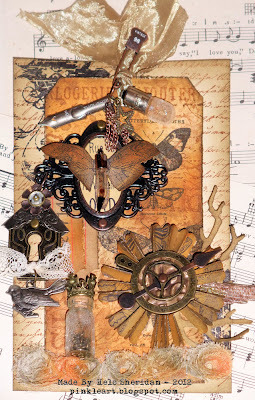 Of course, it would be remiss of me to mention that the main influence in the techniques that I use is Tim Holtz. I have a passion for all things Distress and really don’t bother to use any other inks to colour with – in my mind, they do the job I want them to do. I am a Ranger girl at heart and have yet to find a Ranger product that I don’t like or want to use. Their inks, sprays, paints and powders are by far, in my opinion, the best in the World. I view things in the Distress palette now too... so a sunrise would be a smidge of Wild Honey with a smattering of Worn Lipstick and Tumbled Glass. Oh how I would love to be able to say that I can knit, sew, cook and bake. But I can’t... so I don’t even bother trying! I do, however, make jewellery... necklaces and bracelets, bag charms and baubles... if it is pearly or sparkly it will get used. I also love Altered Art. I have got boxes and boxes of old bits of junk in my Room of Stash, all awaiting alteration; I will get around to them one day! Making mud pies and adding pebbles to them to make them pretty! Seriously! Making Christmas cards whilst watching Blue Peter on the telly and getting thoroughly covered in glitter and cotton wool. My Grandma had the utmost patience with me and my card making endeavours. I remember once making a bluebell card using tiny twists of coloured tissue paper... ahhh happy days. Haha, I never grew up!!! I kind of stumbled upon it. I started making cards and progressed from there. Seeing friends using rubberstamps and ink and loving the results pushed me to explore my creative side. Ah, when Mr Mojo goes off on his holidays eh? Well, I will for sure tidy up the Room of Stash. Then I will get a sketch book and draw a few ideas down for tags. Tags are my “go to” thing to make. 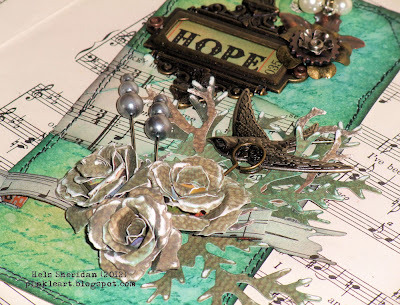 Along with the tag there will inevitably be something Tim Holtz, be it stamps or embellishments, Grungepaper or Grungeboard. Sometimes if the Mojo is really taking a long break I will go and make some jewellery... or go for a nosey online at shops and see what products are out there that I might... ahem, need! Mmm, a difficult one ... I think my style is evolving all the time. Something that I made this time last year is going to be different to what I make right now. I think that because the world of craft is ever evolving, tastes change, fashions change, new products arrive in store... and my own styles vary. I am definitely grungy and inky. I can’t do clean and simple – I always end up over embellishing it. 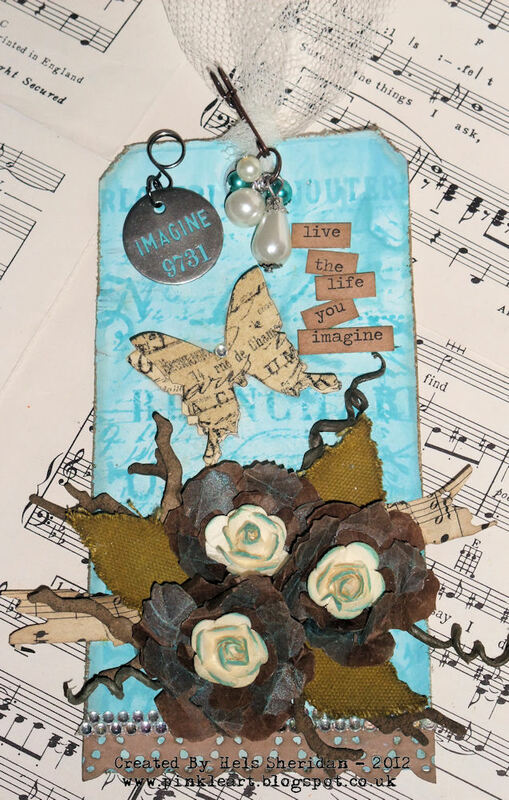 I am definitely a more is more crafter. That’s more than 5 words. 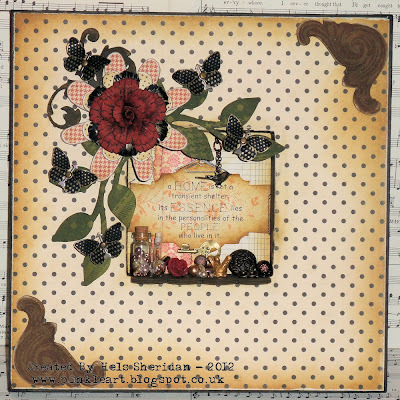 Ok, I am being good now: grungy, inky, stamper, floral, distressed. My favourite museum is not actually “arty”. It is the National Railway Museum in York. That comes from my background on the railway. If you were able to ask Hels anything what would you ask? Please add your question to the comments below. See you next Friday for an interview with Karen Rao. Just popped over from Hels blog to read this interview. Its wonderful and we need to convince Hels that she is an artist! I didn't know about this site until the interview with Hels, loving the interviews, thanks Bernice. AWESOME interview with THE one & only...Hels Sheridan. Your art is wonderful...so happy we got to meet! Thanks Alexandra... mud pies rock! Graet to see Hels recognised in this way, she is a lovely lady with a big heart. Terrific interview with a terrific lady! Really enjoyed this, thank you. What a fantastic blog this is! Came over from Hels's blog but will be sure to read the other interviews. I know that Hels doesn't count herself as an artist but in my opinion she most definitely IS!!!! Love that Picasso quote, and the response made me chuckle!! So, Hels, I hope you realise now that everyone considers you to be an Artist.